(l-r) Allan, Mia and Clara Nuñez, and Lidia Chelin Catzim Bacab, lost their lives in the deadly fire on Tuesday, June 12th. As the fire intensified it also destroyed a nearby house where two persons escaped unharmed. According to them, they saw a golf cart engulfed in flames in front of the other building, and speculations are that the fire may have started from the electric golf cart that had been charging all night. However, Cruz believes that the fire began from the second floor above her. Around 2:30AM, she noticed smoke had started to enter her apartment, and she realized that the building was in flames. She immediately looked for her two children, ages two and four, and tried to get out. “When I tried to get out through the front door, the verandah on the second floor was already in flames and debris was falling down,” said Cruz. “I went back inside as I feared something could fall on my babies.” She said that the only escape route was through the bathroom window. Cruz broke the wooden louvers, and when she was getting ready to climb out the electricity went off. “I panicked because I could not see my babies and smoke was coming inside my home. But I found them and climbed out and then ran away from the blaze to safety.” Cruz indicated that she noticed an injured Nuñez and his son outside making attempts to run inside, but it was impossible to save anyone trapped on the second floor. Nuñez suffered third-degree burns as he tried to save his family, while his son’s injuries were not minor. Both were taken to the Dr. Otto Rodriguez San Pedro Polyclinic II for treatment and then airlifted to Belize City’s Karl Heusner Memorial Hospital (KHMH), where he was admitted in a critical condition, where he continues to recover. Samir was released the following day. In a post on his social media account, he expressed his pain for the loss of his family members, and how much he will miss them. “I didn’t even get the chance to tell you sorry nor goodbye. It breaks me to know that you are gone and I am still here,” said part of his post to his mother. The bodies of Clara and her two children along with her niece were found hugging each other when firefighters finally recovered the bodies after completely controlling the fire. As often happens during emergencies, neighbors and volunteers quickly formed a 'bucket brigade' to help firefighters battle the blaze. During the blaze, neighbors resorted to a bucket brigade using water from a nearby well, and personnel from a nearby hotel also assisted with a portable pump. Witnesses complained that fire officials did not respond well to the fire and were unprepared. Apparently, they showed up with limited water and when they ran out, they sourced from a nearby well to continue battling the flames. 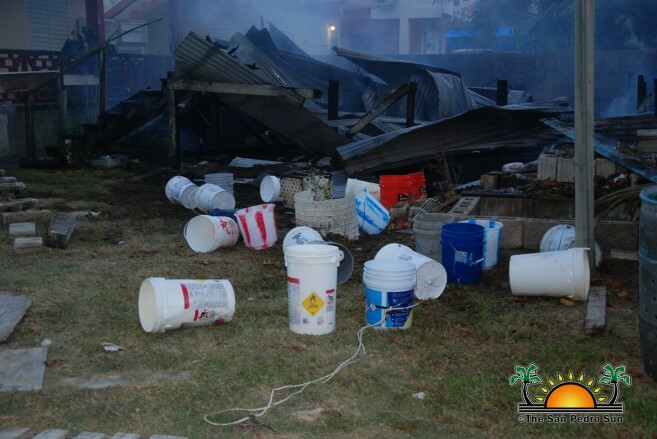 As island residents continue to press on the issue as to why Ambergris Caye, the number one tourism destination in the country, is yet to be provided with adequately equipped fire department. Honourable Edmond Castro Minister in charge of the National Emergency Management Organization (NEMO) commented on the inquiry. “Each time there is an emergency or a fire, we try to sit down and see how best we can do a better job next time,” said Castro. “It’s a constant struggle that we are constantly trying to improve the equipment that we have. We have ordered some pumps that I think will be assisting the fire department out in San Pedro and Caye Caulker.” Castro stated that the current fire trucks depend on a water source to provide the water to a fire. He said that due to this fact, the Government is looking to obtain fire trucks that could store about 3,000 gallons of water. Following the aftermath of one of the most tragic events on the island the death of the four individuals continues to be felt in the community. On the evening of Tuesday, June 12th, the San Pedro High School joined in the mourning remembering Allan, who was a second form student in the school. They held a candlelight vigil at 6PM inside their school auditorium. Teachers, fellow students, and staff shared fun stories about Allan. 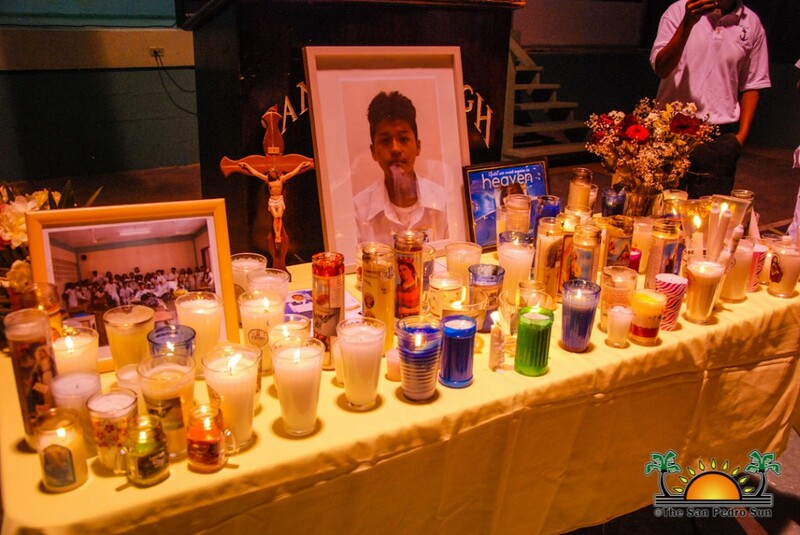 At the end of the event, each one of the attendees placed their candles on an altar decorated with the pictures of the fire victims. 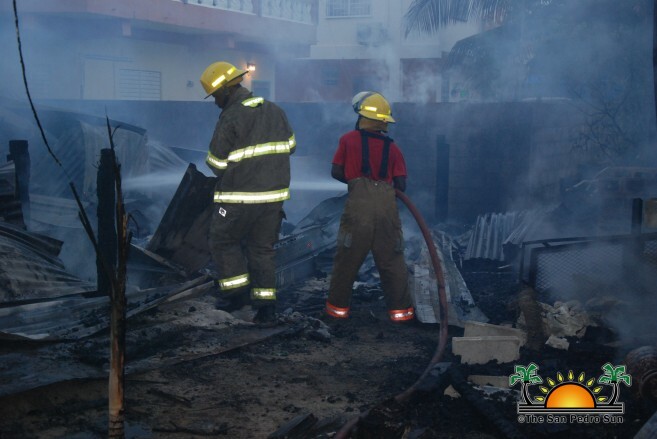 National Emergency Management Organization (NEMO) has ensured that persons directly affected by the fire get access to immediate needs, such as housing. At the same time, the Food Bank at Hope Haven is providing meals. The Belize Red Cross- San Pedro Branch also joined in the humanitarian call and will be hosting a radiothon and a dollar drive on Friday, June 15th starting at 7AM at Reef Radio. Monetary donations can also be made payable to the Belize Red Cross Society-San Pedro, Belize Bank account number 670140161010120001, or stop by at the Reef Radio studios on Friday. The last time a tragedy of this magnitude took place on the island was in June of 2016 when a massive fire on Pescador Drive left 88 islanders homeless. 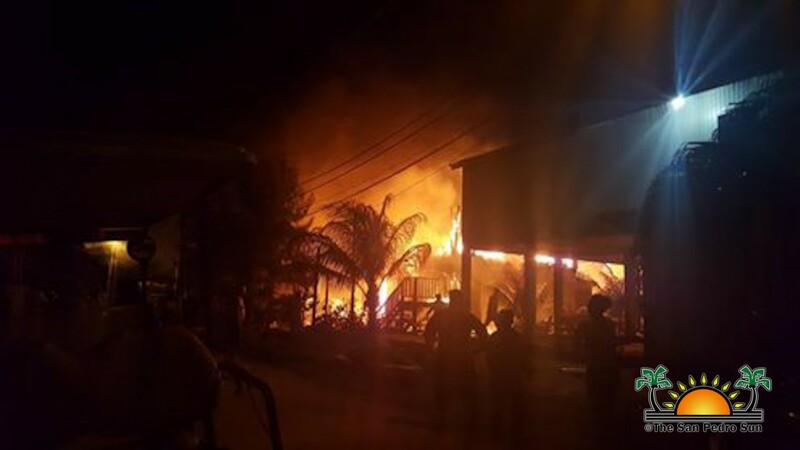 The devastating fire gutted 17 homes shortly after midnight destroying everything in its path, however, no human casualties were reported. It was the most devastating fire San Pedro had seen at that time. While an official report from the respective authorities is still pending, The San Pedro Town Council (SPTC) and UNICEF have partnered to provide psychological support to the affected families, and the same support will also be given to students from the San Pedro Roman Catholic School where Mia was attending, and the SPHS for their tragic loss of a member of their school community as an initial response. After necessary assessments have taken place, the SPTC will conduct an immediate clean-up of the affected area. Lidia’s body was put to rest on Friday, June 15th in the village of Carmelita in the Orange Walk District. Arrangements for the other victims are yet unknown, since David continues to recover at the KHMH.